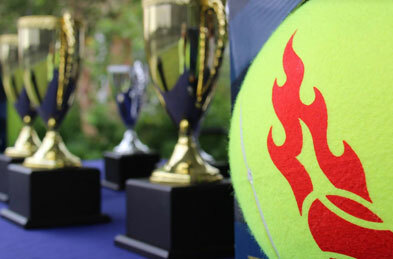 Future Stars Southampton has four championship Har-Tru tennis courts with cutting-edge lighting and climate control. Our experienced professional staff offers an extensive selection of clinics, lessons and leagues to accommodate players of all ages. Our indoor sports facility houses a 24,000-square-foot turf field that plays host to clinics, team practices, indoor soccer, lacrosse, baseball, flag football, leagues and tournaments, parties, and corporate events. In addition to the various sports programs we offer, the field can be rented out entirely or in sections for your own games, practices, or parties. We are open seven days a week with extended daily hours from September to May. In the summer, our domes come down to reveal four Har-Tru tennis courts, and four Decoturf tennis courts. Court rentals, private lessons, and adult and junior programming is available for the outdoor season. We are open seven days a week from May to September. Reservations can be made until sundown. [Pablo] Montesi and his team don’t solely look for coaches based on their background, and on the search for coaches, he makes sure to get to know them, and understand what their goals are to make sure they are the right fit to work the kids within the program. The staff meets every week so everyone is on the same page, understanding the kids’ needs and how to improve what they are doing.